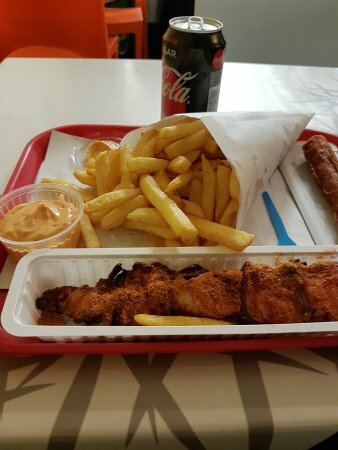 One of the best places in Leuven to have fries. The seating area could be better (ugly fluorescent light) but all in all a place I go when I want great fries. The lady at the counter may look a bit unfriendly but these are the best fries in Leuven! Baked at excellent temperature, makes them just so crispy. Portions are big, too! Get quick answers from De Smullende Heks staff and past visitors.